Created on March 24, 2010 using FlipShare. This is the easiest and simplest way of keeping your pool clean and it should be done every few days.It is always easier to remove floating debris than to wait for them to sink because it becomes very hard to remove.When removing these floating debris, one uses a hand skimmer or a leaf skimmer. This should be done every week in order to minimize algae and calcium deposits that might have accumulated at the base of the pool.The cleaning tools for the pool after vacuuming it entirely depends on the type of material that has been used to make the floor or the base of the pool.That is if the floor is tiled soft brushes are used and if the floor is plaster lined or is concrete, stiff brushes are used. It is very essential to clean pool filters as they determine the clarity of the pool water.In other words the pool filters need to be cleaned regardless of the regular maintenance cycle.There are various types of filters that is cartridge, sand filters diatomaceous earth and cleaning depends on the type of filter.However the cleaning procedure should be properly regulated as cleaning more than recommended can hinder filtration process due to interference with the normal functioning of the filters. With time organic contaminant accumulate in the pool and when massive amounts of these react with chlorine they form chlorinates which interfere with the normal pool cleanliness.These chlorinates are the source of the potent purge smell in some pools.To counter this reaction and consequently reduce the smell it is advisable that one super-chlorinates their pool once in a while. For pools that have heated water it is very advisable to get a professional to service and clean the heaters once in a while and hence avoid contamination.This is because for gas heaters, calcium scales tend to build up and hence restrict normal flow of water and also prevent adequate heating.This should be done from, time to time though not as frequent as other cleaning procedures. For the ones attached to side or above ground pools, it is simply done by removing them and shaking while spraying the inside with a hose pipe to help dislodge stubborn objects.This can also be done for those in pool decks of in-ground pools. The ceramic tiles that are placed round on top of the edge of the pool should be cleaned weekly. In reality, many people won’t enter in the pool and go through all the entire scrubbing every week. To keep your pool in elegant shape, look great and be sparkling clean, you should hire a high quality pool tile cleaning company. Without proper care, pool tiles are going to acquire scum and start to crack. The pool supply store will offer you a cleaning spray that will keep the pool tile clean. When using the spray, you can spray the pool tile below and above water line to keep clean. The spray will dissolve directly and normally will smell pretty good. You will watch the spray when dissolving in water with a few bubbles whenever you put the sponge below the water line. When using home-made spray, you need to make sure you empty the pool prior to cleaning the tiles. Never add harsh chemicals in your pool as may cause health hazards on the users of the pool. Still, you are required to be prepared for, as the basic cleaning mixture such as vinegar have an effect on your PH level. The chemical levels in the pool should also be regularly tested. It can be tricky to keep the balance of chlorine in the pool; as too much can bleach the tiles look white and too little allows for mildew and algae to grow. Regular testing of the pool’s chlorine and chemical levels and keeping them in balance won’t expose you to either problem. Getting a vacuum may also be very helpful. It’s one among many pool maintenance tips that you shouldn’t afford to miss. Vacuum easily trap unwanted objects floating on your pool. In addition, it also absorbs the objects that have already settled on the floor. Pool vacuums have baskets and filters which normally get covered by debris if not cleansed. In addition, you should decide on how long you should change the water. During the time of replacing the water, you should have the floor and all the walls brushed. By doing so, your pool will be as neat as it can be right before you drain fresh water back to it. The cleaning of walls and floor also aid the water have long-term clean lifespan. Cleaning the pool tile regularly would make it attractive and makes subsequent cleaning easier. Therefore, through this cleaning tips, cleaning your pool daily mean less effort than cleaning it on monthly or weekly basis. Nothing can be more refreshing in the summer season than having a great dive in a swimming pool. The hot weather can only be enjoyed in cold water especially in a nice pool. 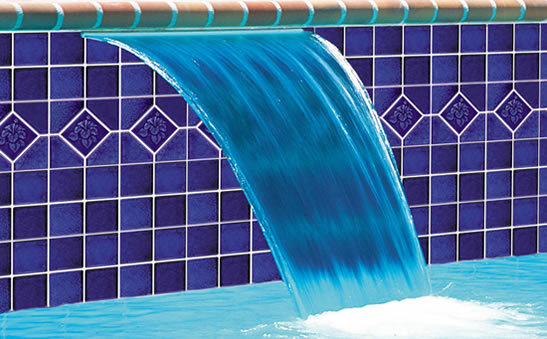 But do you know that your pool’s tiles condition plays a significant role in defining the beauty of you swimming pool? These tiles are prone to all kind of weather conditions, aging and tainting that can make you pool to appear in a very terrible state. You can imagine swimming in a dirty pool. This is practically impossible. 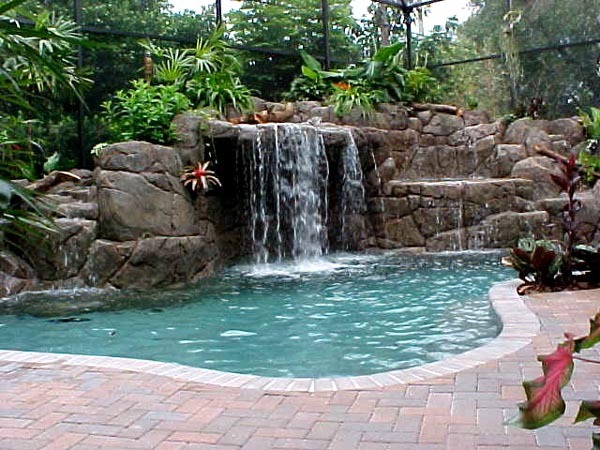 This calls for a very experienced service provider who has the capacity to restore your pool original beauty. We are professional pool cleaning service providers totally committed to providing you with the best swimming season. We have been operation in this field for a long period, and we pride ourselves of being among the most experienced firms in maintaining swimming pool in the best condition. We have been rated as one of the best service providers employing the most effective cleaning methods in the market. We have been employing the bead blasting technique that has proven to be a very efficient cleaning method. 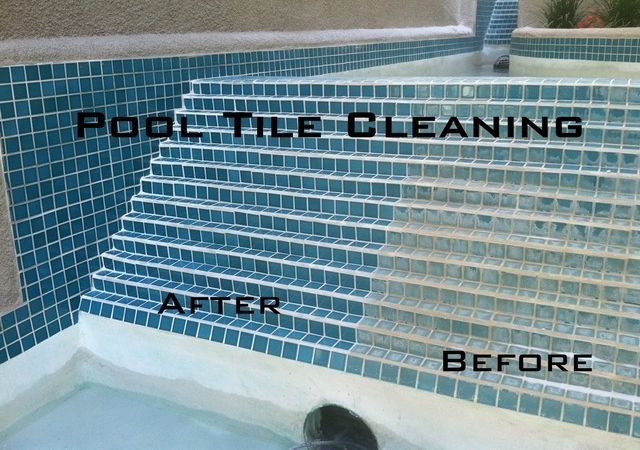 With the bead blasting technique, we will leave you the best condition as if it was a brand new pool.Apart from the bead blasting, there are many other reasons to why you should consider us as your most preferred choice of pool tile cleaning service provider. Below are just a few of the reasons to why you should consider us. • Quality of service- Our main goal is to see that all the customers are fully certified with our levels of service delivery. We are very keen on meeting our customers’ expectations and the only way to achieve this is by providing quality services. Quality in our service delivery is king and queen, and we always work towards improving it. We will work on your pool’s tiles to give them a stunning look for them to appear as if they were new. We don’t compromise the quality of our services with anything else, and thus you are guaranteed to get only the best if you decide to hire our services. With us, you’ll never get substandard work done on you tiles. • Experience- we have been operating in this field for a long period now, and one thing that we can pride ourselves with is the vast experience. We have worked on many pools with different conditions and thus we can comfortably say that there is no pool cleaning task can be a challenge to us. 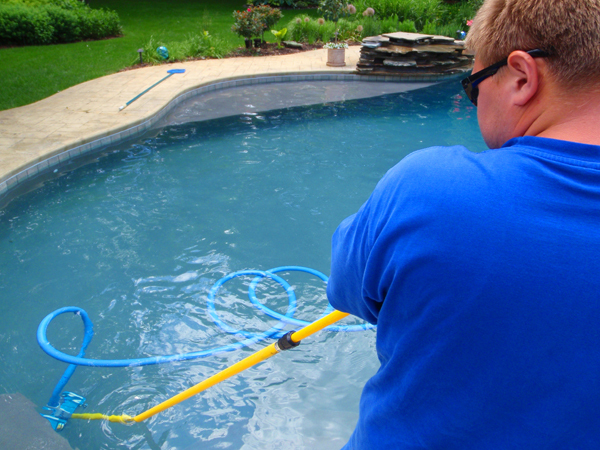 With our bead blast technique, we can handle any pool cleaning assignment within the shortest time possible. We have employed a high skilled team of experts who will ensure that everything has been done professionally, and the results are above the set standards. • Tools and equipment- we have invested heavily in the most advanced and the latest state of the art equipment and tools. There is no way that you can provide quality services with obsolete tools that cannot perform at all. This is why we have invested very well in the most advanced state of the art tools to ensure that the quality of our services is maintained. With these tools and the high experienced/skilled team of technicians, you are guaranteed to get only the best services from us. With all these, rest assured that your pool beauty will be restored within the shortest time possible. • Reputation and reliability- A company with a good reputation is a clear indication that it is meeting customers’ expectations. We have built an impeccable reputation in this market due to the high-quality level of services that we have been offering our customers with. This is the reason to why most of our clients are recommended to us. Our duty is to leave your pool tiles 100% clean to appear as if they were newly installed. We are also the most reliable service provider that you can find. • Cost of service- Our charges is the most friendly and most competitive in the market. We charge only what we quoted for the first time and thus anyone can afford our services. 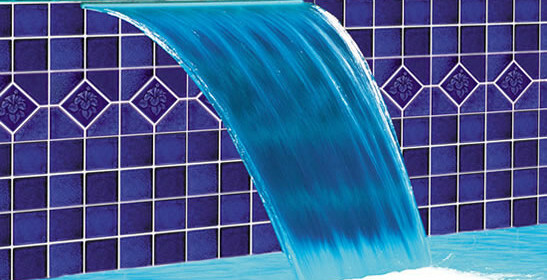 With us, pool tile cleaning will never be costly task. So, if your pool is in a bad condition, you can contact us for proper pool tile cleaning services. We have different types of beads for each and every type of tiles. If your tile needs glass beads, silicon carbide or even the stainless steel beads, we can work on it. 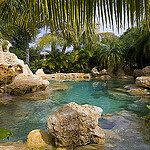 Contact us, and we will restore your pools beauty within the shortest time.